Creating contact backup is crucial but in the case of Android phones with Google contact sync on when you delete a contact it automatically gets removed from Google contact when contacts are sync. It can be frustrating not to have a backup, but you can easily back up your Google contacts into a Google sheet automatically when a contact is added to your Google account one entry with your contact details will be added into Google spreadsheet and safely store in Google Drive, and you can access it anytime. This can be done with a web-based task scheduler that performs work when individual even happens, IF THIS THEN THAT (ifttt.com) is very much useful in all aspects and in the case of creating a backup it is way more useful. Create an account on ifttt.com. Choose Google contacts in "If" option and connect grant access to your Google contacts. 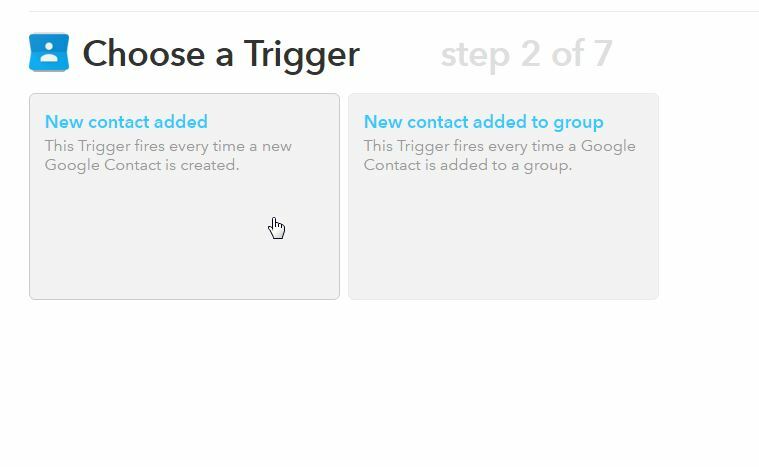 Now choose option added a new contact to trigger an event. Select Google drive and connect it. Now choose to append in a document option (if you want to create a separate document for each contact) and add a row in a spreadsheet to store all contacts in a spreadsheet. Define spreadsheet name and click on create recipe. Now all your contacts will be stored in a spreadsheet without any issue, and you can access them from Google Drive.